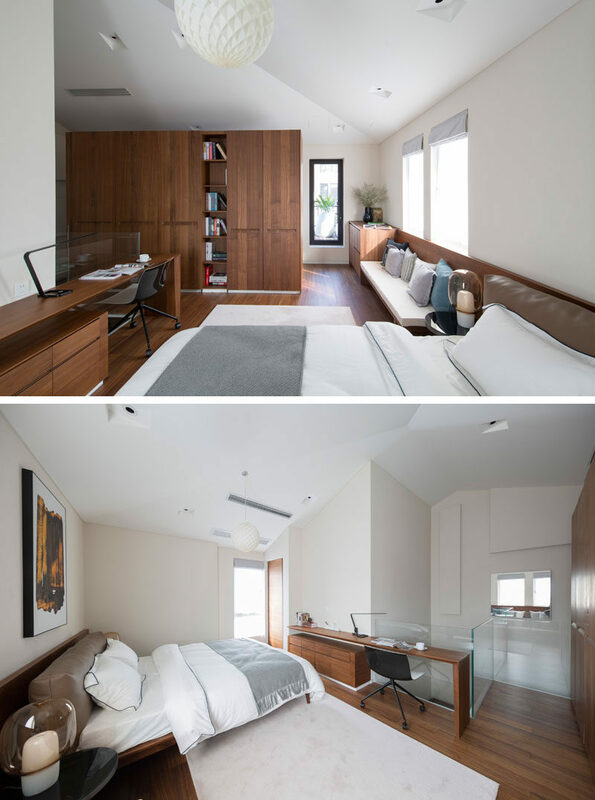 PRISM Design together with Mori Design have recently completed a villa in China, and as part of the design of the villa, they created a master bedroom suite with a custom Walnut headboard unit that includes both storage and seating. Upon entering the bedroom, there’s a small built-in set of drawers that sits beside a bench and is the ideal place for a couple of decorative items, while a tall closet with open shelving has been installed near the entry, and provides clothes and book storage. Adjoining the sideboard is a wood bench with an upholstered cushion and decorative pillows. 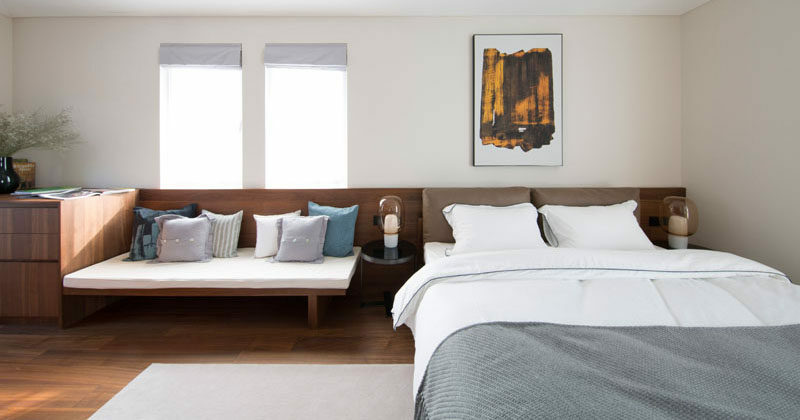 The backrest of the bench transforms into the headboard for the bed, creating a single cohesive look that runs the length of the bedroom, from one wall to the other. 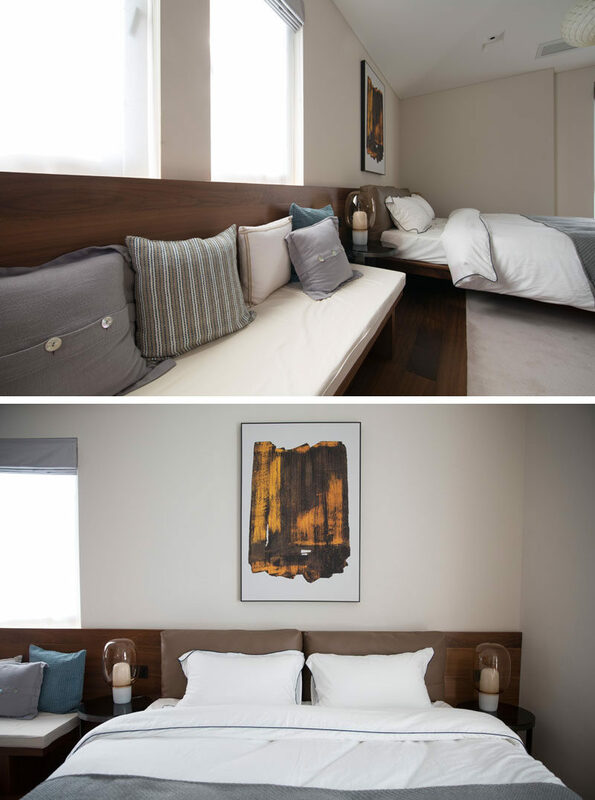 Opposite the bed and matching all of the other wood elements in the room is a work area with a minimalist desk that attaches to the wall, and underneath is a floating set of drawers that are mounted to the wall.